Here is the official press release for the 2013 racing schedule. The FIM and TTXGP are pleased to announce the 2013 provisional calendar of their new series for road racing electric powered motorcycles named FIM eRoadRacing World Cup. We are pleased to announce six dates for the 2013 season, three for the North American Series and three for the European Series. Five of the dates are confirmed, the sixth will be confirmed soon. We are working on one additional date for each series, plus looking to confirm the location of the world final as soon as possible. The world final will be in Asia, at the end of the regional series. The calendar offers some great race venues and a first occasion racing with the FIM Endurance World Championships, which we all look forward to. Valencia will be showcasing other eco-race series alongside the FIM eRoadRacing World Cup, where the latest technologies and efficiency technology applied to existing race-tech will be on show. TTXGP is the leading promoter & supporter of electric racing. TTXGP began electric racing on the Isle of Man with the first all electric IoM TT race in 2009. 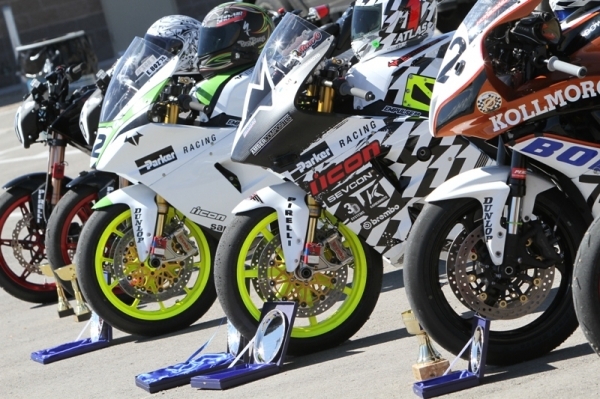 Since 2009 TTXGP has organised electric motorcycle race series on 2 continents up to 2012. In 2013 TTXGP & the FIM unified their respective series to create the FIM eRoadRacing World Cup, the world’s premier electric race series.